Corbyn’s office remain unmoved on their refusal to recognise the entirety of the International Holocaust Remembrance Alliance (IHRA) definition. The row has reignited longstanding suspicions by some Jewish people that Corbyn and his allies hold anti-Semitic views. However, with pressure being exerted by key figures such as GMB leader Tim Roache and Momentum founder Jon Lansman, Corbyn is under growing pressure to shift. Failure to do so could cause a major rupture in the party. 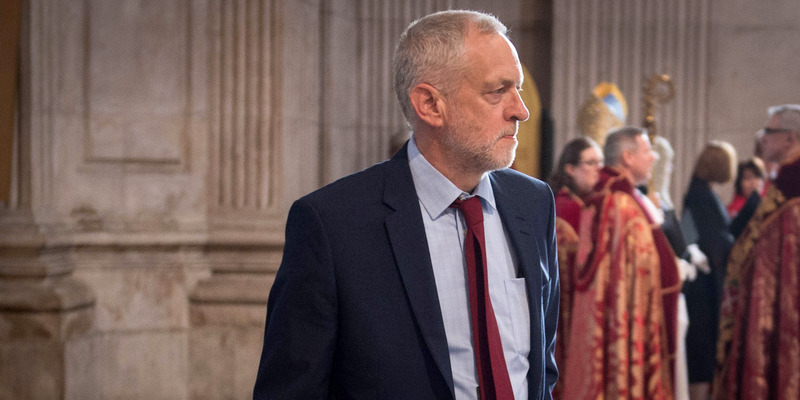 LONDON – Jeremy Corbyn’s Labour party is facing the most significant chance of a split since the 1980s, with relations between the leader and his MPs now more strained than ever. The row centres on Corbyn’s refusal to adopt the full International Holocaust Remembrance Alliance (IHRA) definition of anti-Semitism, which the Labour leader believes stifles criticism of Israel. 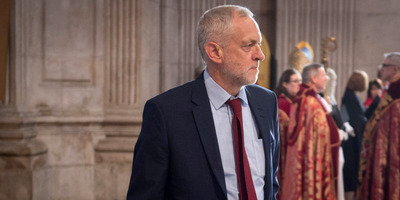 It escalated significantly after a very public row between Corbyn and the Labour Margaret Hodge, who accused the Labour leader of being an anti-Semite and a racist. 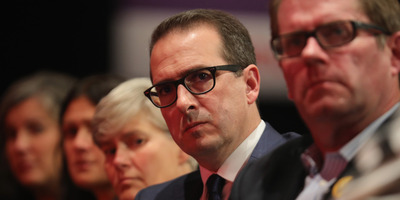 Following the opening of disciplinary procedures against Hodge, the rumours of a potential split increased, with the Express reporting on Tuesday that the Labour MPs Gavin Shuker, Chuka Umunna and Chris Leslie had been in talks about a potential break off. With even Corbyn’s internal allies speaking out against his position on the IHRA definition, including his shadow chancellor John McDonnell and the leader of the Corbyn-supporting organisation Momentum, Jon Lansman, the Labour leader’s position now looks vulnerable. So why is Corbyn so reluctant to adopt the full definition, who are the main figures in this growing conflict and could the row really cause a fundamental split in the party? What triggered Labour’s anti-Semitism crisis? 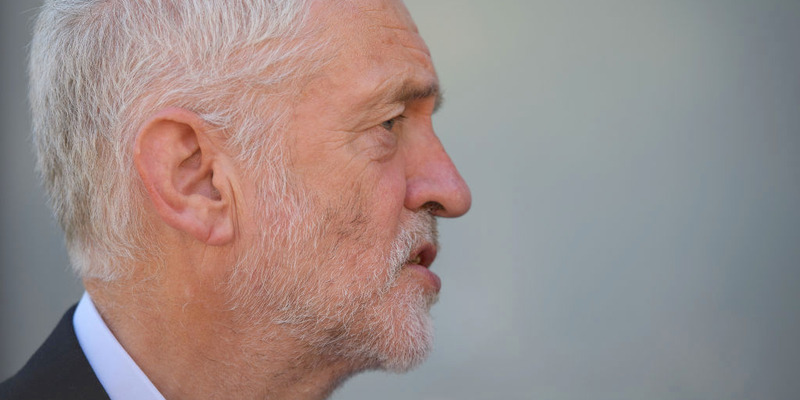 Labour’s anti-Semitism crisis re-ignited this summer following the Labour National Executive Committee’s partial recognition of the IHRA definition of anti-Semitism. Three weeks ago, the Labour Party NEC ruled that a decision made by an NEC sub-committee the week before was final, therefore rejecting the full IHRA definition. In response to this, Labour MP Margaret Hodge branded Jeremy Corbyn “an anti-Semite and racist” in a stand-up row inside the Houses of Parliament, which prompted an investigation from Labour’s General Secretary, Jennie Formby. Although the investigation was subsequently dropped, the move triggered major anger among Labour MP, with talk of 12 MPs being prepared to resign the whip in response to the crisis. Corbyn’s senior supporters then sought to double down on their rejection of the full IHRA definition following criticism, sharing a Jon Lansman opinion piece in the Guardian, calling Labour’s position on anti-Semitism the ‘gold standard’. Since this piece, Lansman has backtracked and has called for the adoption of the full IHRA definition, according to Jewish News. Allies of Corbyn are keen not to back down as they believe the full IHRA definition would prevent effective criticism of Israel. One of the examples included in the definition is that labelling Israel a racist endeavour would be classed as anti-Semitic, something Corbyn opposes adopting. However, with a vote on the definition expected at Labour’s NEC on the 4th September, and at Labour’s PLP on the September 5, more pressure is expected to be placed on Labour to adopt the full definition. On Thursday the leader of the Labour-supporting GMB union, broke ranks and called on Corbyn to adopt the full IHRA definition. Momentum is also reportedly prepared to speak out on the issue. However, some figures on the left have branded Momentum and particularly Lansman’s change of tune as posturing. “The idea that Laura Parker (Momentum’s National Co-ordinator) and a couple of soft left unite officials will be able to take down [the leaders’ office] is laughable”, one Labour left source told BI. “If forced to vote, even under a split Momentum [the NEC] would still vote with [Corbyn]” another said. Sources close to Momentum said that while the organisation did want to take a “more visible, militant stance” against anti-Semitism, they didn’t believe it could be counted as breaking ranks with Corbyn. So will Labour really split? GettyMany Labour MPs are furious with Corbyn’s handling of the crisis. With Hodge’s investigation dropped, an immediate split seems less likely. One factor preventing a split is the lack of any credible alternative to remaining in the party for moderate Labour MPs. This week LoveFilm co-founder Simon Franks launched a new party United for Change, with BBC Political Correspondent Ross Hawkins reporting that their pitch would be in favour of “long term plans for public services, term limits for MPs signing up [and a] tough message on immigration”. However, speaking to BI, one leading Labour moderate MP dismissed the new party, saying “lots of business people get involved in politics thinking they can do it better than politicians, but soon find out it’s not like running a business. So for now at least, the risk of an imminent split in the party looks slim. But with Corbyn still apparently reluctant to budge on the issue, the risk will not fully go away any time soon.